Wiped - Your entire group dying at once so that the Monster Resets. Reset - Monster runs back to their original spawn point, has no more aggro, and goes back to full health and energy. This can happen when everyone on the mob's aggro table is dead, or when everyone on the mob's aggro table goes out of range of the mob. KS - Kill Steal - An old term that goes back to before Target Lock was implemented. It means that one person is killing a mob, and another person comes up after the mob is engaged and starts attacking the mob. 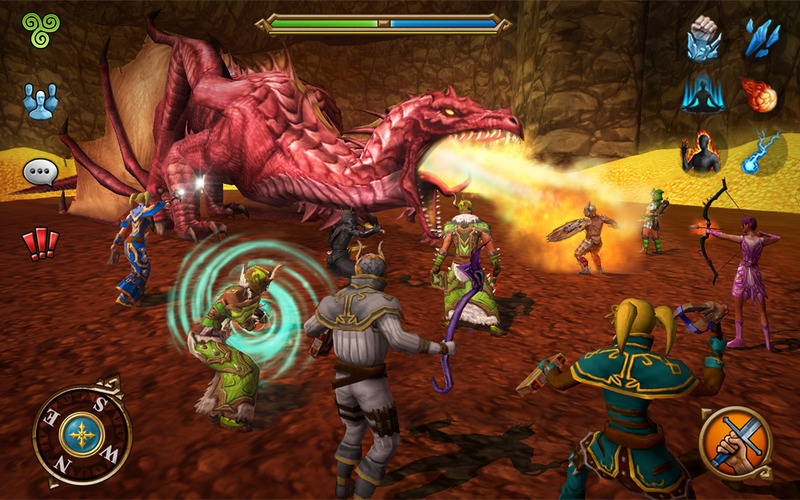 The second person causes more damage, and kills the mob taking the XP, gold, and loot. PvP - This stands for Player vs. Player. Currently there are two areas which are PvP: the Castle Courtyard (duels) and the Arena (group battle). FFA - This stands for Free For All. This term generally means that the target mob is up for grabs by the group who can do the most damage. FFA mobs/situations vary from server to server, but it is often said that Bosses are FFA. ie. May the best team win. Ad/Add - This term is short for Addition or Additional. It is short-type for when a mob is attacking a support Character in a group fight, such as a Druid or Mage who may be standing back from the main fight. If a Druid types "Ad" or "Add on me" into the chat window, it means they are being attacked by an additional mob. Mob - A term used to describe the game based enemies that players fight. It is said to be short for mobile, as the enemies roam about and attack. NPC - Short for Non-Player Character, these are the characters in the game which give quests, sell items, and advance our knowledge of the world of Celtic Heroes.